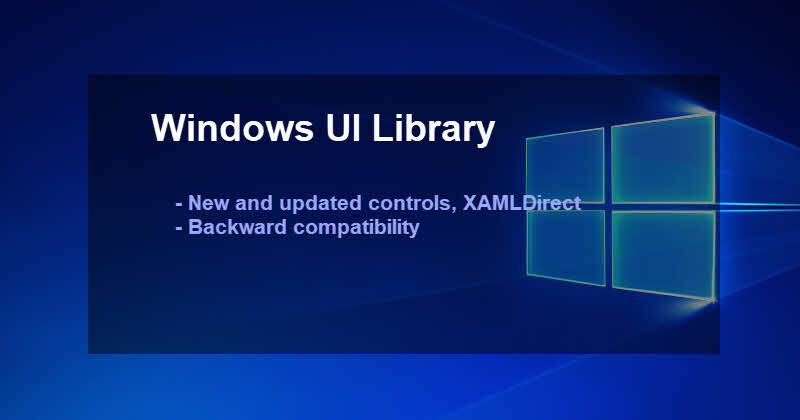 Microsoft releases the Windows UI Library (WinUI Library) that includes new and popular UWP XAML controls and features. These are backward-compatible on all Windows 10 versions since the latest insider builds down to the Anniversary Update. Check out this post to know more about this UI library and to find the links to download and install in your project. As the new Windows UI Library is available via the NuGet packages, the greatest benefit for the developers is that, as a developer, you can start building and shipping your applications with the new UWP (Universal Windows Platforms) XAML features immediately. When you are building an app that targets multiple versions of Windows 10, you won't have to include version checks or conditional XAML markup anymore. This will make your code cleaner. Apart from those, as the NuGet packages are backward-compatible, your users will no longer have to wait to update their Operating System to the latest build, before they can actually run your app with the latest features. The WinUI Library is currently in prerelease version and are fully functional for testing and evaluation purposes. The initial release includes previews of the first two Windows UI packages: Microsoft.UI.Xaml and Microsoft.UI.Xaml.Core.Direct. A future release will include "RTM" versions of these packages and may include additional features or breaking changes. Please note that the Windows UI Library is built and maintained by the same engineering team responsible for the standard Windows 10 SDK and follows the same development and testing process. Please also note that it is functional on the Windows April 2018 Update and previous versions of Windows 10, but will provide improved performance on current RS5 insider builds and upcoming versions of Windows 10! If you have come this far, it means that you liked what you are reading (Windows UI Library (WinUI Library) Preview is now available to download via NuGet Package Manager).